The crop is globally positioned as a premium “Natural Neutral Filler”. 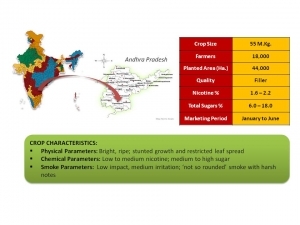 By virtue of its Neutral Filler characteristics, the Mysore crop is easily blendable with any cigarette blend (USIB or Virginia blend) hence substantially enhancing its marketability. NLS is a flavourful tobacco grown on sandy loam soils. 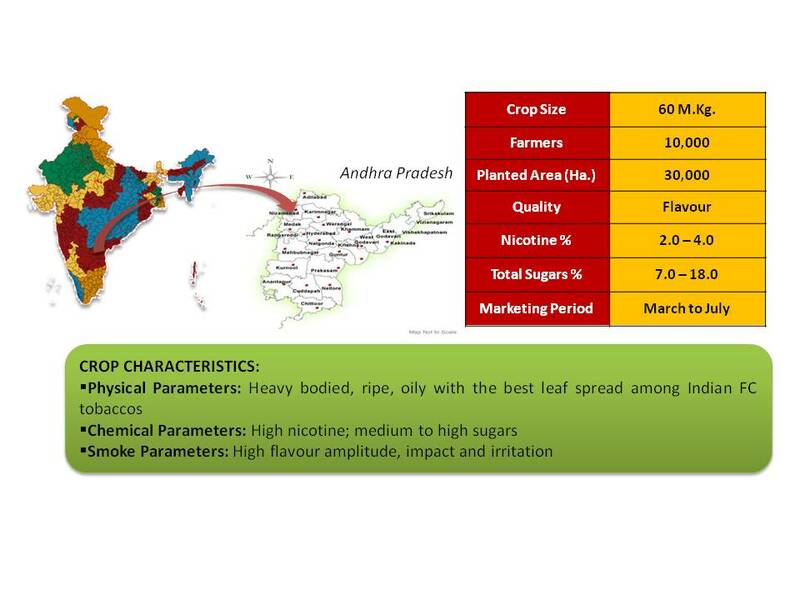 NLS is the only flavour option in India, grown by the most progressive of tobacco farmers. 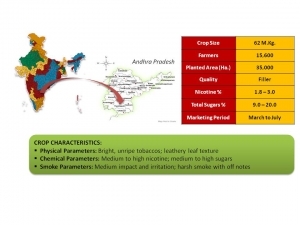 This is perhaps the only flavour crop in the world that is grown under irrigated conditions. 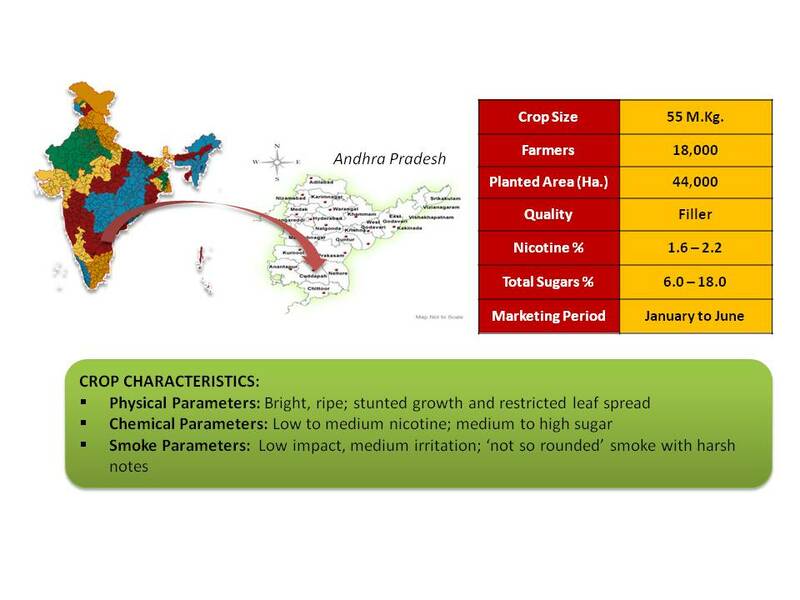 SLS is a value for money (VFM) filler tobacco, grown under rain fed conditions. The Traditional crop is a cheap filler, cultivated under residual moisture conditions and is akin to styles produced in China. 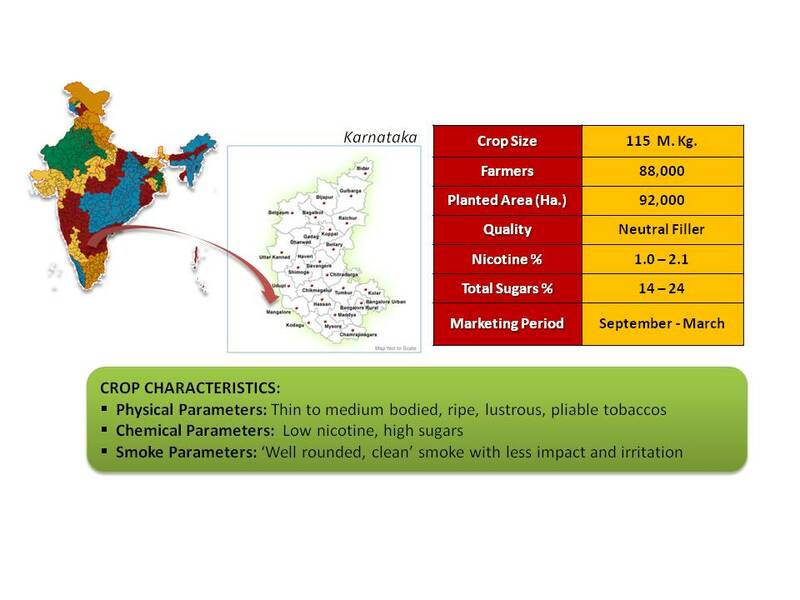 Another unique facet of this crop is that it is grown profitably in Black Cotton Soils.